Yahoo on Tuesday took attention off a lackluster quarterly report with word that it plans to hold onto a larger chunk than originally planned of Chinese e-commerce powerhouse Alibaba. The California-based Internet pioneer that has been struggling for years to reinvent itself after withering in Google shadow said that its profit in the recently-ended quarter slipped from the same period a year ago, when its coffers were swelled by the sale of shares in China's Alibaba. Yahoo reported earnings of $297 million on revenue of $1.139 billion in the quarter that ended September 30. The profit was a steep drop from what was posted in the same period last year, when Yahoo sold part of its stake in the Chinese e-commerce giant. "I'm very pleased with our execution, especially as we've continued to invest in and strengthen our core business," said Yahoo chief Marissa Mayer. "Now with more than 800 million monthly users on Yahoo—up 20 percent over the past 15 months—we're achieving meaningful increases in user engagement and traffic." 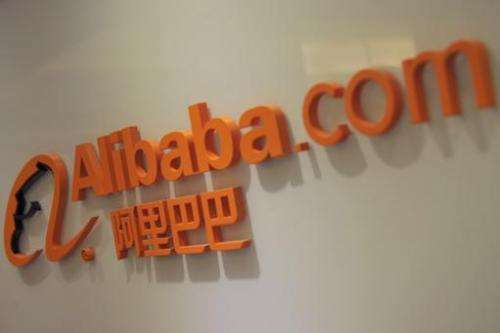 The earnings figures, which topped Wall Street expectations but showed that Mayer has yet to rev up the company's revenues, were released along with word that the California company would keep a larger portion of Alibaba under an amended agreement with the Chinese Internet retail titan. "They beat the street on earnings but revenue is down," said independent analyst Rob Enderle or Enderle Group in Silicon Valley. "Yahoo is still having trouble growing ad revenue," he continued, noting that Google has been devouring the lion's share of online ad money and Facebook's portion is growing. "It creates a difficult problem for Mayer. It appears she is just treading water at this point." Word that Yahoo would hold onto more of its Alibaba shares appeared to buoy the Internet pioneer's stock price, which dipped nearly two percent to $33.38 by the close of trading but climbed back to $33.71 after hours. Yahoo said in a statement it would sell 208 million Alibaba shares, instead of a previously agreed 261.5 million shares as the Chinese firm prepares a public offering. The original repurchase agreement of May 2012 provided that in the event Alibaba completed a qualified IPO, Yahoo would sell up to 261.5 million of its 523.6 million ordinary shares of Alibaba, either directly to Alibaba Group or in the qualified IPO. After an IPO, Yahoo, one of the early investors in Alibaba, has the right to sell its remaining shares. "Yahoo has always believed in the long-term potential and value of Alibaba, and we are pleased to maintain a larger stake in the company's future," said Jacqueline Reses, chief development officer of Yahoo and Alibaba board member. Expectations are building for an initial public offer (IPO) as early as this year for the Chinese firm, the world's biggest online retailer. An IPO could value Alibaba at between $60 billion and $100 billion, according to analysts. "Alibaba is one of the biggest threats to Google out there," Enderle said. 'One of the biggest mistakes Yahoo made was to divest its Google stock." Yahoo long ago owned millions of shares of Google stock, but sold it all by the end of 2005. During an earnings presentation streamed live online in a television newscast style production at a Yahoo website, Mayer highlighted hirings, acquisitions, improved products and rising user engagement instead of profit or revenue. "It will take time for the increased engagement to translate into revenue," Mayer said. "But I am confident we are on the right track." Alibaba chief 'interested' in buying Yahoo!